A child and his or her parents are not always the only people affected by a divorce. Grandparents may also find that their rights have changed with respect to seeing their grandchild. In general, Florida courts prefer that families set up their own visitation plans. However, if there is discord and disagreement about these plans, grandparents may file a petition to obtain visitation rights under certain conditions: a dissolved marriage between the child’s parents, one parent deserting the child, or the child being born out of wedlock. The court is obligated to make a decision based on what is in the best interest of the child, and relies on such factors as the relationship between the child and grandparents, the preference of the child, and other factors as described here. Although the law has always allowed grandparents to sue in certain cases, previous court decisions stringently limiting this right due to (parental) privacy issues effectively made this right completely irrelevant. The state of Florida has a new law pertaining to grandparent visitation rights, effective as July 1, 2015. However, the changes only apply to families where the child’s parents are both dead, missing (for at least 90 days), or incapacitated, or if one parent meets these factors and the other is convicted of a felony or violent behavior that poses a substantial threat of harm to the minor child’s health or welfare. Upon filing of a petition by a grandparent for visitation, the court will hold a preliminary hearing to determine potential parental unfitness or significant harm to the child. The changes in statute are primarily to resolve issues related to incidents where one parent has died or gone missing, and the other parent, even if a suspect in a potential related crime, refuses to grant grandparents visitation. Otherwise, state law treats general grandparent visitation rights as it always has, as secondary to the preference of the parent(s). This includes not necessarily preserving grandparent visitation rights granted in another state. However, politicians have reported that this recent change may give rise to additional visitation rights for grandparents at a later time. Florida does make it easier for relatives like grandparents to adopt a child (versus scenarios where children are adopted out to anyone via an agency or intermediary). For example, relatives can immediately finalize an adoption without waiting the requisite 30 days after parental rights have officially been terminated. Grandparents can also seek concurrent custody, power of attorney, or (although very difficult to obtain) temporary custody, particularly if a child’s only other option is foster care. 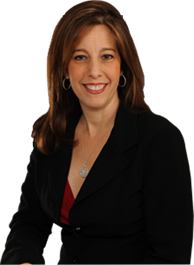 If you live in Fort Lauderdale or Boca Raton and you have a concern related to child visitation, contact Sandra Bonfiglio, P.A. to discuss the details of your case. We are prepared to protect your rights and the rights of your child.